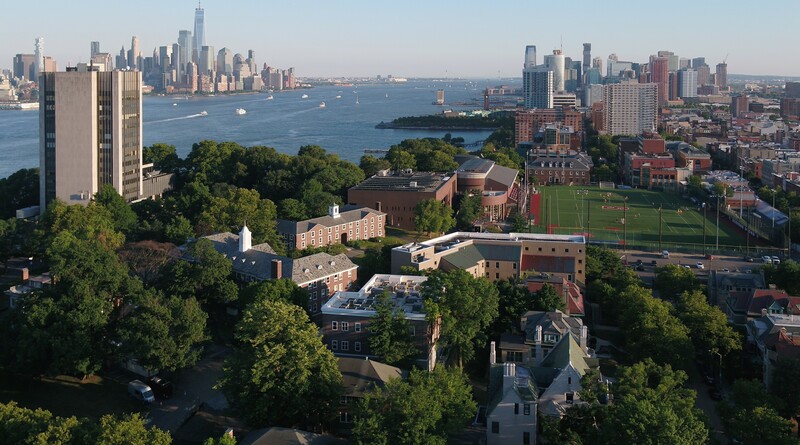 The visual arts and technology program at Stevens Institute of Technology offers a B.A. and minor at the intersection of art and technology. In visual arts and technology, students study traditional as well as new and emerging tools and art forms, rooted in historical, theoretical, and critical inquiry. Taught by faculty who are themselves practicing artists and designers, students learn how to go from idea and problem to finished works. The program utilizes New York City's amazing museums and galleries, letting students view masterpieces and new artworks first-hand. Additionally, students are encouraged to seek internship opportunities, giving them professional experience and possible job placement after graduation. Building on Stevens' efforts to promote interdisciplinary research and academic collaboration, our major is a center for innovation and creativity. Video: The video concentration focuses on technical, theoretical, and aesthetic approaches to video as a time-based medium. Students recognize and control video's formal parameters of image, sound, shot, transition, and sequence. Covering the history of video along with current production and conceptual frameworks, this concentration cultivates creative thinking and problem solving through project-based classes. Animation: In the animation concentration, students will learn about modeling, rigging, and rendering projects made individually and in groups. Students will learn techniques and project workflow skills using 2D and 3D animation software. Looking at the entire production method, including pre-production and post-production, students will learn how to turn their sketches into fully realized animations as well as discover the rich history that animation studies has to offer. Game Design: Games have been called the definitive medium of the 21st century, and yet there is still so much to learn and discover. The game design concentration is focused on teaching students how to build 2D and 3D games using their own artwork, code, and story. This concentration also critically looks at the current state of game design--from large scale studio, to small independent art projects. By seeing the entire scope of what games can do, students will explore a range of possibilities of using games to create thought provoking projects. Design: Students in the design concentration learn about visual communication and typography, but most of all how to creatively solve problems and communicate ideas. Students will make posters, design fonts, lay out books, and prototype apps. Career options include graphic and web design, but could also lead to working on interactive projects like apps and games, part of a team in advertising and marketing, or working as a creative director. Creative Computation: This concentration merges code, art and design, letting students create new visual experiences that would be impossible with more traditional tools. Students learn how to write their own software in a variety of languages, how to create interactive projects and how to build custom electronic circuits, all with the goal of exploring software as a creative medium. Additionally, courses in this concentration address the critical issues around software like the open source movement and learn about the rich history of code in the arts. Students electing this concentration can go on to work in games and app development, interactive design, working on data visualizations, or as a “creative technologist” solving challenges across a wide range of fields.